Photos displayed by kind permission of Rachel and Nigel, the Bride and Groom. Photos courtesy of Kev Tebbutt. All rights reserved. 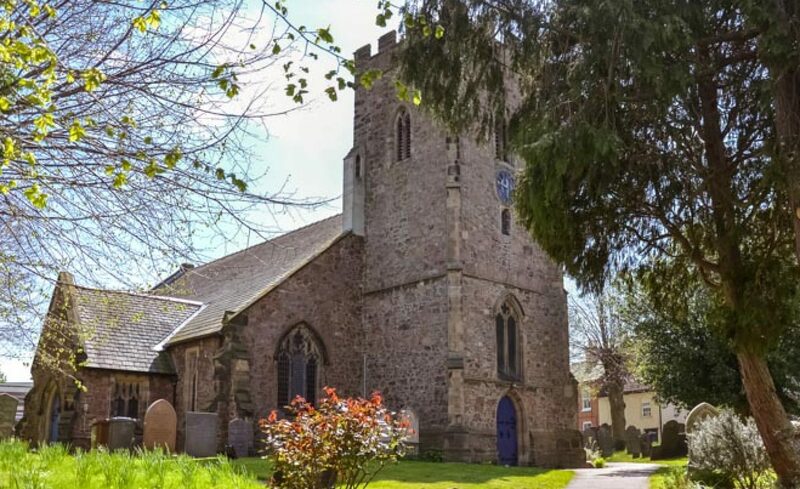 Legally, you are entitled to get married at any of the churches in the Fosse Team if either one of you lives in the parish of any of those churches. You can also get married here if you live in another parish and can establish a connection. You must have your banns of marriage read for three Sundays during the three months before the wedding – but before all this you need to get in touch with the Vicar so as to book the Church and obtain advice on the arrangements. If you are under the age of 18 you must have your parents’ permission to get married. There are certain guidelines on Church marriage if you have been divorced – see below. The answer is almost any time between 8 a.m. and 6 p.m. It doesn’t have to be a Saturday (although your guests might find a Saturday easier!). Can we be married by a priest somewhere else? No. At present you can only have a Church of England wedding in a Church of England parish Church. Because of the legalities involved, an authorised service must be used – but there is flexibility about music, hymns, readings and the prayers. The service will reflect the couple being married. What kind of preparation do you ask us to do? A huge amount of preparation seems to go into the big day itself – but sometimes little thought is given to what happens afterwards and how you get on living together as husband and wife, and the differences that big day has made to your relationship. So, as part of the deal to get married at a church in the Fosse Team, you will be encouraged to look at marriage preparation – as opposed to wedding preparation! And no, there won’t be embarrassing questions that you have to answer to the priest – although you will be encouraged to be very honest with each other. The Bishops of the Church of England allows the individual parish priest to be the judge of whether he or she will allow the marriage in church of a couple where at least one has been married before and there is still a living partner from that marriage. The Church sees marriage as being for life. One reason it is seen as such – i.e. as a ‘sacrament’ or sacred thing – is that marriage is an illustration of how God loves us …he is always completely faithful; he never tires of us or forsakes us – and our calling in marriage is to reflect that. However, we are fallen human beings who often make a mess of trying to live life God’s way, and our relationships do sometimes fail. The loving, faithful God we meet in the Bible offers us forgiveness for failed intentions, unrealistic expectations, for broken promises; for the hurt and heartache of the past and a new start. But this is not to be taken lightly. The churches in the Fosse Team are willing to remarry people who have been divorced – following broad principles rather than a set of rules. If you want to know more about this, please contact us. Getting married in Church doesn’t guarantee you a problem-free marriage! But it does serve as a reminder that there is are communities here in the Fosse Team who can and will: support you through good times and bad, pray with you and for you, celebrate your high points and grieve with you during your low points. – you don’t have to be alone! Good marriages don’t happen by accident – they happen because both parties are prepared to work at love – which may sound a strange idea, but love is much more than just emotional feelings. You can find out more about weddings in the Church of England by visiting the weddings website.